I am sitting in my Happy Happy Place which is my seasonal cottage. I have many happy places because I choose to be happy where I am at the time, but I must admit this is one of my most favorites. I am sipping on my coffee and enjoying my thoughts and my surroundings. It is raining off and on and the birds are singing their songs regardless. Where are your happy places? Have you designated any? Maybe it’s a sunny window in your house or a quiet corner where you like to read. It’s very important to have spaces that bring you comfort and are condusive to your peace of mind. You can make any space your “Happy Space”, even your car. If you travel to and from work or even running errands, your vehicle can be a safe haven if you say it is. Perhaps you listen to your favorite music or you use an essential oil plug in your car’s 12 volt outlet, to add fragrance and therapeutic scents. You can buy these online or at health food stores. Life is busy so we need to leverage the opportunities that we have to work with. It’s check-in time? Who is your best friend? That BFF thats got your back? That person who loves you unconditionally and supports your dreams? That person who speaks highly of you and listens to you and hears you? Really hears what you are saying and what you desire? Have you listened to your own conversations lately? Do you speak to yourself with loving words and thoughts? Do you love and speak to your body in the highest regard and with gratitude for it the gift of it? The very best friend we have in our lives is ourselves. Many of us fall down in the best friend department. Take some time to see how you are interacting and engaging with yourself. If you need help being kinder to yourself and loving yourself, you might want to consider exploring the gift of life coaching for yourself. Life coaching can help you to learn ways to be more loving and less judgemental. When you can have gratitude for yourself and your body and your dreams and you know that they are important, you do become your own best friend and and you get darn determined to make your dreams come true! Your soul comes alive and it responds to the words and thoughts that you so lovingly project and it makes things happen! It’s time to get excited about life and to be that best friend that you know you can be. Here I am at the cottage listening to the sounds of the morning birds. They are lively and joyous. There are so many singing right now. Last night was a beautiful star laden night with a 1/2 moon shining brightly over the cabin. When I went to bed I left the window open both for a breeze and to delight in the sounds of the night. I was in such Joy that I had to get up to take this video to share a piece of this heaven on earth. Nature’s choir is quite the orchestra of beauty. Here it is. I hope you enjoy! MaggieHolbik.com is a Life & Entrepreneurial Coach who helps people to follow their dreams by defining what’s important to them and helps them to make sure they make the moments that matter count and to count the moments that matter. 🙂 Maggie loves to work and play from anywhere and this is one of her most treasured places for that. She hopes you find Joy and clarity in the moments that matter to you! Everyday in every moment we have the opportunity to recreate ourselves anew. As humans we tend to operate or function based on building blocks of ‘what we know’. We become creatures of habit recreating habits, thoughts, beliefs and even experiences! Energetically we keep recreating the same results because we keep recreating the same energetic frequency which creates a like unto like magnetic field which attracts more of the same. In the brain we create neural pathways that create an almost habitual track to run on. One of the easiest ways, I have found, to recreate myself anew, in any given moment, is to become consciously aware of my thoughts words and actions. I fully understand and embrace the knowledge that I have conscious choice to rebirth myself in any given moment and in an absolute instant! I once met a person who told me through conversation that he loved change and that he indeed thrived on it! That one conversation has stuck in my mind and from time to time I ponder on it. It really helps me to be open-minded and adaptable to change and to recreating myself on any given day that I choose. The above was a simple example. At a more intense level, we can recreate ourselves in emotional ways by deciding to do so. I use this a lot when I decide that I want to be happy or that I choose to feel in a different way about my day or about circumstances throughout my day. Knowing that we are personally empowered and capable of recreating ourselves anytime we want to, is very exciting. How will you recreate yourself anew today? I woke up today at 4 in the morning and had to write down these notes on coaching that came flooding through my soul and flowed onto the paper. I knew then that this was something I needed to share so here we go! You know when you really get something at a deeper level? It’s like you are really getting it and embracing it like you have never done before? Well that is what is happening to me. I have been a Certified Life Coach for 11 years but recently I have truly been appreciating and embracing all of the gifts that coaching allows me to experience and most importantly to pass along to others. I cannot express how much joy comes from my chosen line of work! What are some of the things I get to do that fire me up? Well I get to remind people of their dreams and help them remember what is important to them and for them. It’s so easy to get lost in the functionality of life that we forget or bury our soul’s calling and desires. I get to help people take back their soul’s callings and see clearly what it is that is important to them. WOW!!! How awesome is that? I get to help them remember their greatness and to never play small. I get to help people be accountable so that they make sure to live their lives with passion and purpose so that they don’t forget ‘who they are’ or why they came here. I help them to be the beautiful and authentic self that they came here to be. I help them strip away their fears and cast aside their doubts. I help them to become personally empowered and to live with zest and gusto, if that’s what they choose! I get to help them stay healthy in body, mind and spirit, so that they can execute their earthly mission and be who they were meant to be! I get to help them add in ‘more’. More of whatever it is they want. More Love, more laughter, more joy, more health, more exercise, more walks, more art, more abundance, more fun times, more success…. just more, more, more of whatever it is that will make their life the one that makes them leave this earth with no regrets! Best of all, I get to be their personal cheer leader. I get to applaud them and celebrate their successes both big and small. In fact there are no small successes. To me as a coach, they are all GREAT successes and we celebrate and rejoice in all of them! MaggieHolbik.com is a Life Coach & Board Certified Nutritionist who loves empowering others to have all of those things mentioned above. 🙂 Maggie is always open to chat and offers complimentary 15 minute phone, Skype, or Zoom chats to help you to explore if coaching is a fit for you. Maggie offers both life and nutrition coaching for the body, mind an soul. Contact Maggie today to schedule your complimentary 15 minute discovery chat! Whenever I look at this picture from years ago it makes me smile. Here is my kid wearing a lampshade. I don’t remember why it was in the vehicle but we were obviously transporting it somewhere and she put it on her head. It is moments like these that remind me to ‘lighten up’ pun intended. 🙂 We take life way too seriously!!! Once of the best things we can do is to laugh more. In fact we should be laughing as much as we can. It’s good for the body, mind and soul. Have you ever been around those kind of people who always have a smile on their face or the ones who laugh from their belly? Or better yet, the ones who jiggle all over when they laugh. They are the best! We as souls, crave laughter and joy. It’s our birth right in fact 🙂 and we need to be reminded of this and do more of it. Laugh your whatever off… just DO IT! 🙂 🙂 🙂 Here is a picture my daughter made of me laughing… yep this is what I look like! Maggie Holbik.com is Life Coach who laughs herself silly sometimes. In fact, people often laugh at her laugh and that makes her laugh more! Watch for leaks in your self-talk. Take a listen and see if you hear yourself using words like “I think”, “Just”, “I’ll try” “Maybe”, or “I’m sorry” way too often. Although all words have places in our vocabulary and in our daily conversations, sometimes people develop a habit of over using self sabotaging words or statements. This is especially important to be careful of when dealing with universal laws. When we are wish washy or we are not being clear or direct with our messages, we get results that are wishy-washy and unclear. For example, if you start most sentences with “I think” as in “I think I am happy”, or “I think I like my job”, or “I think I might like to go on a vacation”, you are being very uncertain and that is what you put out there! One of the keys to manifesting and creating is to be clear and concise. Even if you are unsure of how something might happen, you need to be clear with your intent! How about this instead? “I love my job!” verses “I think I like my job”. You may not entirely believe this but by declaring it, you will start to love it and be happier and have less stress and more satisfaction etc. This works for anything. What you say and declare you bring about. It’s that simple. Words are more powerful than people realize. Recently I attended a writing workshop about the power of ‘one’ word. It WAS powerful to see this. One word can make a huge difference. Think of this an ’empty’ room or a ‘spacious’ room? Let that sink in. Huge difference. Now imagine statements and strings of words put together. They can have huge impact. So in conclusion, I encourage you to choose your words wisely and choose words that are empowering to your self esteem and to your mission or goal. Own your words. My favorite new saying lately is “Not only have I found my voice, but I am owning it”. 🙂 I think this is very applicable in this scenario of creating, manifesting and bringing more clarity into our lives. Is it time to embrace who you are and do what you came to earth to do? Contact Maggie to inquire about Life or Nutrition Coaching that can help you to thrive in your personal wellness of body, mind and spirit so you can live your purpose in JOY! Today is my Birthday. Every year on my birthday, I find myself doing some self reflection and inner observation. I have a journal that I sometimes use on my birthday, to write myself a message. Today I thought I would read this over and reflect but I could not find it. What would it say from past years? It would depend on how far I went back in the journal I suppose. The farther back I would go, there would be entries about trying not to worry about what others think, about feeling better about myself, perhaps some guilt and shame thrown in there to add to the recipe, and then things that I wanted to improve in my life. In later years, it would probably say something more along the lines of reflecting on what I accomplished in the past year and the great strides I had taken. This year? So many wonderful things. At 52 I feel more free than I have ever felt in my life. Free to be ME! 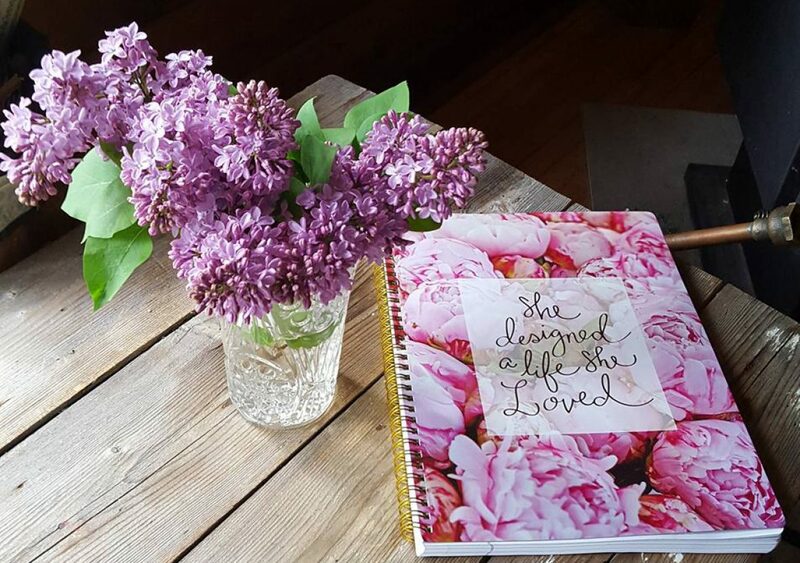 Free to choose and create my ideal days that revolve around Love, Gratitude and JOY! Free to express, to create, and to make my days meaningful and to live my life with both zest and depth. My soul feels very HAPPY!!! One of the choices I made this past year stemmed from a comment someone shared with me once. They said that they had noticed that when people are around 50, they seem to make a choice. They either buy into aging or they turn this age into a sort of a pivot point where they make changes. They seem to wake up to how valuable health is and how it affects the quality of their life and future life. Needless to say, I picked choice 2 and have never looked back. I decided to believe that I am getting younger every day and it’s working!!!! This past year has been monumental for me in my life in regard to the improved health of my body, mind and spirit… quantum in fact. One of the key things I have found to help with these changes and in embracing aging is to apply focus. I do this with any change I am trying to implement. I choose not to focus on what I am giving up, on what I did have, or on what yesterday was like. I keep my sites on the NOW and the future. I find the freedom in the ‘new’ not the past. In future blog posts and in my new coaching series that I am working on “Your Path to Joy”, I will be sharing more on how to get excited about making positive changes in your life and how to let go of things that no longer serve us. If you are reading this, thank you for being in my life. Today I am getting so many wonderful messages on Facebook, through text messaging and more and I feel so Blessed and grateful. I am grateful for every experience I have had the pleasure of experiencing in life and I am grateful for every interaction with every one who has touched my life in some way. I send much LOVE to all today and my wish for you is to make the rest of your life the best ever! Happy Birthday to me! Happy Birthday to me! Why Not Encourage & Uplift?